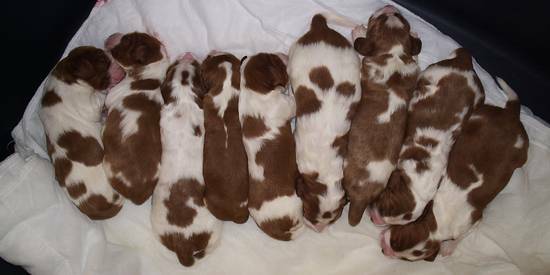 We would like to breed welsh springer spaniels which have exterier breed standart, temperament and hunting will and without heritable disease. To catch this intention we would like to use in our breeding program only dogs which have the same criteria and some conditions to give to the next generations. Our puppies grow right inside of our house and we do our best for them and their mother. As they get older, we habituate them to the daily life - they listen to our favourite music, they familiarise with the whole house and our other dogs. They also reveal the secrets of our garden which they explore. Puppies leave us for their new owners 8 to 9 weeks old and they are vaccinated and treated against the endoparasites. All of them have tattoo, chip by the request of the new owner, but they are never docked. 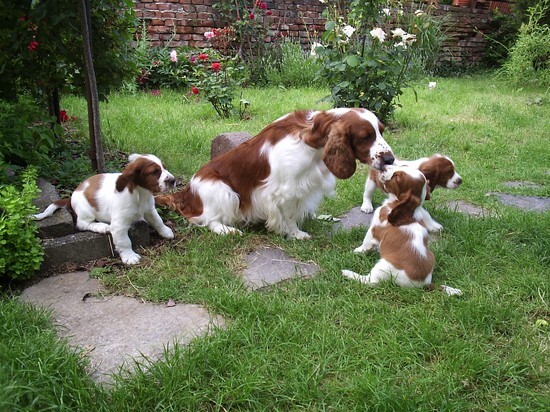 We provide the new owner with the pedigree of the puppy, a certificate of vaccination, a buying contract and short instructions concerning feeding and advices how to get used to your new dog friend. We supply vaste service to new owners of our puppies including the help with upbringing, training, preparing for shows and grooming the coat. However it depends always on the owner whether he/she use this opportunity. We look mainly for the friends for our puppies who will love the puppy and do any activity with the puppy to make his life enjoyable. We are glad of course if the new owner is interested in taking part in shows or any exams but we never force anybody on such activities. As breeders, we are particularly happy if the owner informe us about all important events in the puppy´s life in a word, letter or picture. We are aware of the fact that all news won´t be happy, but that´s the life. If you are interested in a puppy from our kennel so please contact us!